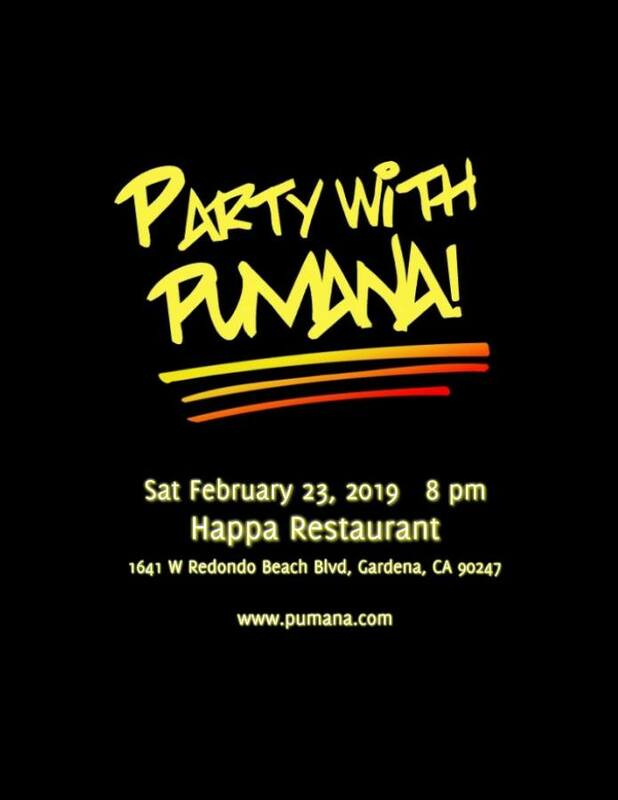 PUMANA will be performing at Happa Restaurant on Saturday, February 23, 2019. Come and celebrate your party with them. Please “Like” and share with your friends. No cover charge. We hope to see you there! ©2017Happa Restaurant All Rights Reserved.